Following two impressive runner-up finishes at the 2015 Rocky Mountain ATV/MC AMA Amateur National Motocross Championship at Loretta Lynn's, Darian Sanayei wondered what was next. With no rides and no contracts in place for the future, Sanayei decided to roll the dice and take a shot at the FIM Motocross World Championship in the form of the European-based EMX250 racing series. During the ten-race series that traversed Europe during the spring and summer of 2017, Sanayei excelled, winning six motos and finishing up a fighting second in the overall championship. His reward: a contract to ride for Bike It Dixon Racing Kawasaki team in the 2018 MX2 World Championship. It was a star-crossed, injury sabotaged racing season that really only consisted of the first three Grands Prix of the year—Argentina, Holland, and Spain. Sanayei sure as hell displayed his aptitude for GP motocross by finding his way up and onto the podium with top three moto scores at both Argentina and Spain. Still, a torn-up knee suffered at the opening round of the Maxxis British Championship in April sent Sanayei right back to his hometown in Washington to catch his breath, heal-up, and get his house in order for 2019. The knee injury and home sickness notwithstanding, the motos Sanayei did run in ’18 went pretty damn well. 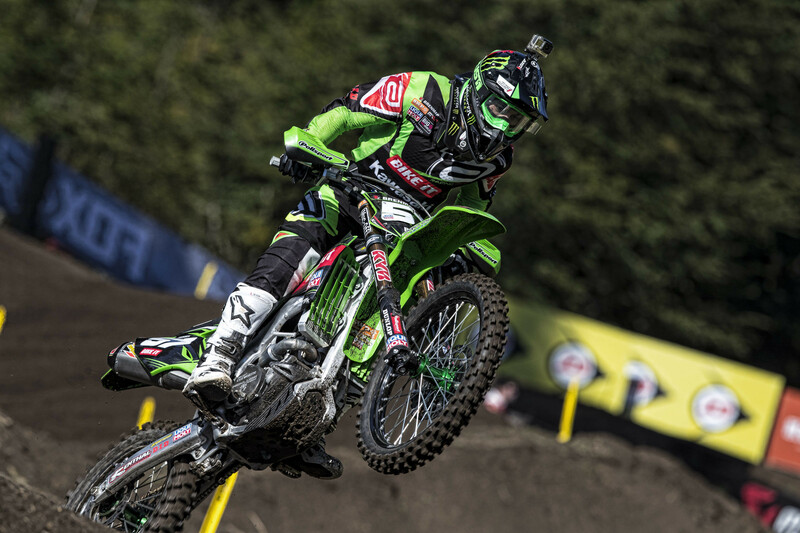 Which brings us right on back to Lommel, Belgium, and the reality of Sanayei’s old world surroundings. It is 6,998 miles from Monroe, Washington, to the far-flung MXGP of Patagonia, Argentina, yet that’s where 22-year-old Sanayei and his heavily modified Kawasaki KX250 will initiate a run at the ’19 season. Sanayei elected not to run any international races leading into the season. Sanayei is completely cognizant of the reality of his Grand Prix surroundings as well as the ins-and-outs of the Kawasaki program that will do anything in its collective power to send him to the starting gate with a championship-caliber factory 250cc race machine. In 1994, California-born racer Bob Moore won the 125cc World Motocross Championship for Yamaha. At that point his championship run in the GPs was nearly a decade in the making, but Moore, adhering to his boyhood dream of becoming a world champion, made it happen. Sanayei is full aware of all this and has been formulating his future racing plans accordingly.